If you work with big data sets, you probably remember the “aha” moment along your Python journey when you discovered the Pandas library. Pandas is a game-changer for data science and analytics, particularly if you came to Python because you were searching for something more powerful than Excel and VBA. Fast, flexible, easy, and intuitive? That sounds great! If your job involves building complicated data models, you don’t want to spend half of your development hours waiting for modules to churn through big data sets. You want to dedicate your time and brainpower to interpreting your data, rather than painstakingly fumbling around with less powerful tools. When I first started using Pandas, I was advised that, while it was a great tool for dissecting data, Pandas was too slow to use as a statistical modeling tool. Starting out, this proved true. I spent more than a few minutes twiddling my thumbs, waiting for Pandas to churn through data. But then I learned that Pandas is built on top of the NumPy array structure, and so many of its operations are carried out in C, either via NumPy or through Pandas’ own library of Python extension modules that are written in Cython and compiled to C. So, shouldn’t Pandas be fast too? It absolutely should be, if you use it the way it was intended! The paradox is that what may otherwise “look like” Pythonic code can be suboptimal in Pandas as far as efficiency is concerned. Like NumPy, Pandas is designed for vectorized operations that operate on entire columns or datasets in one sweep. Thinking about each “cell” or row individually should generally be a last resort, not a first. To be clear, this is not a guide about how to over-optimize your Pandas code. Pandas is already built to run quickly if used correctly. Also, there’s a big difference between optimization and writing clean code. This is a guide to using Pandas Pythonically to get the most out of its powerful and easy-to-use built-in features. Additionally, you will learn a couple of practical time-saving tips, so you won’t be twiddling those thumbs every time you work with your data. 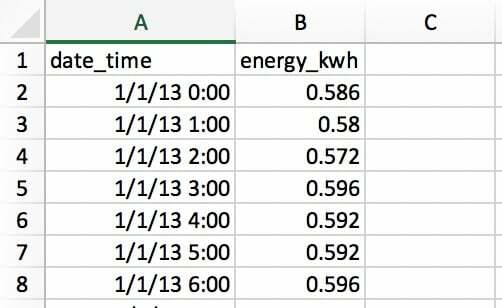 To demonstrate these topics, I’ll take an example from my day job that looks at a time series of electricity consumption. After loading the data, you’ll successively progress through more efficient ways to get to the end result. One adage that holds true for most of Pandas is that there is more than one way to get from A to B. This doesn’t mean, however, that all of the available options will scale equally well to larger, more demanding datasets. Assuming that you already know how to do some basic data selection in Pandas, let’s get started. The rows contains the electricity used in each hour, so there are 365 x 24 = 8760 rows for the whole year. Each row indicates the usage for the “hour starting” at the time, so 1/1/13 0:00 indicates the usage for the first hour of January 1st. You now have a DataFrame called df that looks much like our CSV file. It has two columns and a numerical index for referencing the rows. Function `convert` ran in average of 1.610 seconds. The result? 1.6 seconds for 8760 rows of data. “Great,” you might say, “that’s no time at all.” But what if you encounter larger data sets—say, one year of electricity use at one-minute intervals? That’s 60 times more data, so you’ll end up waiting around one and a half minutes. That’s starting to sound less tolerable. In actuality, I recently analyzed 10 years of hourly electricity data from 330 sites. Do you think I waited 88 minutes to convert datetimes? Absolutely not! Function `convert_with_format` ran in average of 0.032 seconds. The new result? 0.032 seconds, which is 50 times faster! So you’ve just saved about 86 minutes of processing time for my 330 sites. Not a bad improvement! One finer detail is that the datetimes in the CSV are not in ISO 8601 format: you’d need YYYY-MM-DD HH:MM. If you don’t specify a format, Pandas will use the dateutil package to convert each string to a date. Conversely, if the raw datetime data is already in ISO 8601 format, Pandas can immediately take a fast route to parsing the dates. This is one reason why being explicit about the format is so beneficial here. Another option is to pass infer_datetime_format=True parameter, but it generally pays to be explicit. Note: Pandas’ read_csv() also allows you to parse dates as a part of the file I/O step. See the parse_dates, infer_datetime_format, and date_parser parameters. But our cost calculation is conditional on the time of day. This is where you will see a lot of people using Pandas the way it was not intended: by writing a loop to do the conditional calculation. For the rest of this tutorial, you’ll start from a less-than-ideal baseline solution and work up to a Pythonic solution that fully leverages Pandas. Let’s look at a loop approach that is not Pythonic and that many people take when they are unaware of how Pandas is designed to be used. We will use @timeit again to see how fast this approach is. """Calculates cost of electricity for given hour.""" >>> # NOTE: Don't do this! ...     """Calculate costs in loop. Modifies `df` inplace.""" Function `apply_tariff_loop` ran in average of 3.152 seconds. However, this loop is clunky. You can consider the above to be an “antipattern” in Pandas for several reasons. Firstly, it needs to initialize a list in which the outputs will be recorded. Secondly, it uses the opaque object range(0, len(df)) to loop over, and then after applying apply_tariff(), it has to append the result to a list that is used to make the new DataFrame column. It also does what is called chained indexing with df.iloc[i]['date_time'], which often leads to unintended results. But the biggest issue with this approach is the time cost of the calculations. On my machine, this loop took over 3 seconds for 8760 rows of data. Next, you’ll look at some improved solutions for iteration over Pandas structures. What other approaches can you take? Well, Pandas has actually made the for i in range(len(df)) syntax redundant by introducing the DataFrame.itertuples() and DataFrame.iterrows() methods. These are both generator methods that yield one row at a time. .itertuples() yields a namedtuple for each row, with the row’s index value as the first element of the tuple. A nametuple is a data structure from Python’s collections module that behaves like a Python tuple but has fields accessible by attribute lookup. .iterrows() yields pairs (tuples) of (index, Series) for each row in the DataFrame. Function `apply_tariff_iterrows` ran in average of 0.713 seconds. Some marginal gains have been made. The syntax is more explicit, and there is less clutter in your row value references, so it’s more readable. In terms of time gains, is almost 5 five times quicker! However, there is more room for improvement. You’re still using some form of a Python for-loop, meaning that each and every function call is done in Python when it could ideally be done in a faster language built into Pandas’ internal architecture. Function `apply_tariff_withapply` ran in average of 0.272 seconds. The syntactic advantages of .apply() are clear, with a significant reduction in the number of lines and very readable, explicit code. In this case, the time taken was roughly half that of the .iterrows() method. However, this is not yet “blazingly fast.” One reason is that .apply() will try internally to loop over Cython iterators. But in this case, the lambda that you passed isn’t something that can be handled in Cython, so it’s called in Python, which is consequently not all that fast. If you were to use .apply() for my 10 years of hourly data for 330 sites, you’d be looking at around 15 minutes of processing time. If this calculation were intended to be a small part of a larger model, you’d really want to speed things up. That’s where vectorized operations come in handy. Earlier, you saw that if there were a single electricity price, you could apply that price across all the electricity consumption data in one line of code (df['energy_kwh'] * 28). This particular operation was an example of a vectorized operation, and it is the fastest way to do things in Pandas. But how can you apply condition calculations as vectorized operations in Pandas? One trick is to select and group parts the DataFrame based on your conditions and then apply a vectorized operation to each selected group. Function `apply_tariff_isin` ran in average of 0.010 seconds. These values identify which DataFrame indices (datetimes) fall within the hour range specified. Then, when you pass these Boolean arrays to the DataFrame’s .loc indexer, you get a slice of the DataFrame that only includes rows that match those hours. After that, it is simply a matter of multiplying the slice by the appropriate tariff, which is a speedy vectorized operation. How does this compare to our looping operations above? Firstly, you may notice that you no longer need apply_tariff(), because all the conditional logic is applied in the selection of the rows. So there is a huge reduction in the lines of code you have to write and in the Python code that is called. What about the processing time? 315 times faster than the loop that wasn’t Pythonic, around 71 times faster than .iterrows() and 27 times faster that .apply(). Now you are moving at the kind of speed you need to get through big data sets nice and quickly. Function `apply_tariff_cut` ran in average of 0.003 seconds. So far, you’ve built up from taking potentially over an hour to under a second to process the full 300-site dataset. Not bad! There is one last option, though, which is to use NumPy functions to manipulate the underlying NumPy arrays for each DataFrame, and then to integrate the results back into Pandas data structures. One point that should not be forgotten when you are using Pandas is that Pandas Series and DataFrames are designed on top of the NumPy library. This gives you even more computation flexibility, because Pandas works seamlessly with NumPy arrays and operations. Function `apply_tariff_digitize` ran in average of 0.002 seconds. At this point, there’s still a performance improvement, but it’s becoming more marginal in nature. This is probably a good time to call it a day on hacking away at code improvement and think about the bigger picture. Use vectorized operations: Pandas methods and functions with no for-loops. Use the .apply() method with a callable. Use .itertuples(): iterate over DataFrame rows as namedtuples from Python’s collections module. Use .iterrows(): iterate over DataFrame rows as (index, pd.Series) pairs. While a Pandas Series is a flexible data structure, it can be costly to construct each row into a Series and then access it. Don’t Take My Word For It: The order of precedence above is a suggestion straight from a core Pandas developer. Now that you have looked at quick data processes in Pandas, let’s explore how to avoid reprocessing time altogether with HDFStore, which was recently integrated into Pandas. Often when you are building a complex data model, it is convenient to do some pre-processing of your data. For example, if you had 10 years of minute-frequency electricity consumption data, simply converting the date and time to datetime might take 20 minutes, even if you specify the format parameter. You really only want to have to do this once, not every time you run your model, for testing or analysis. A very useful thing you can do here is pre-process and then store your data in its processed form to be used when needed. But how can you store data in the right format without having to reprocess it again? If you were to save as CSV, you would simply lose your datetime objects and have to re-process it when accessing again. Pandas has a built-in solution for this which uses HDF5 , a high-performance storage format designed specifically for storing tabular arrays of data. Pandas’ HDFStore class allows you to store your DataFrame in an HDF5 file so that it can be accessed efficiently, while still retaining column types and other metadata. It is a dictionary-like class, so you can read and write just as you would for a Python dict object. A data store can house multiple tables, with the name of each as a key. If you don’t feel like your Pandas project is fast, flexible, easy, and intuitive, consider rethinking how you’re using the library. Try to use vectorized operations where possible rather than approaching problems with the for x in df... mentality. 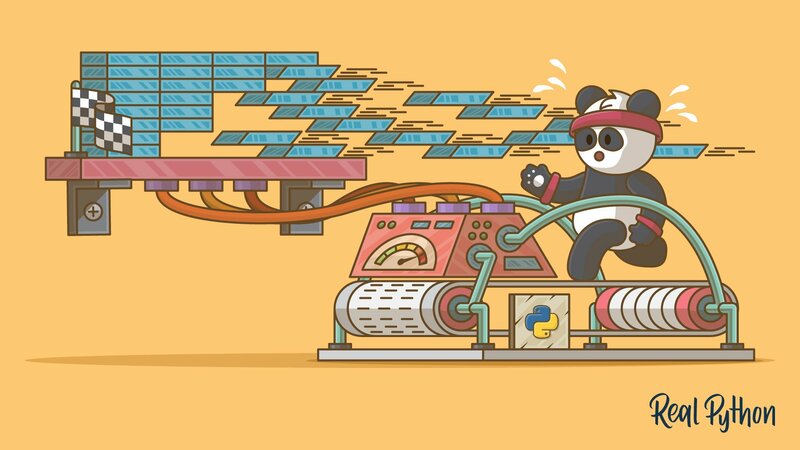 If your code is home to a lot of for-loops, it might be better suited to working with native Python data structures, because Pandas otherwise comes with a lot of overhead. If you have more complex operations where vectorization is simply impossible or too difficult to work out efficiently, use the .apply() method. If you do have to loop over your array (which does happen), use .iterrows() or .itertuples() to improve speed and syntax. Pandas has a lot of optionality, and there are almost always several ways to get from A to B. Be mindful of this, compare how different routes perform, and choose the one that works best in the context of your project. Once you’ve got a data cleaning script built, avoid reprocessing by storing your intermediate results with HDFStore. Integrating NumPy into Pandas operations can often improve speed and simplify syntax. 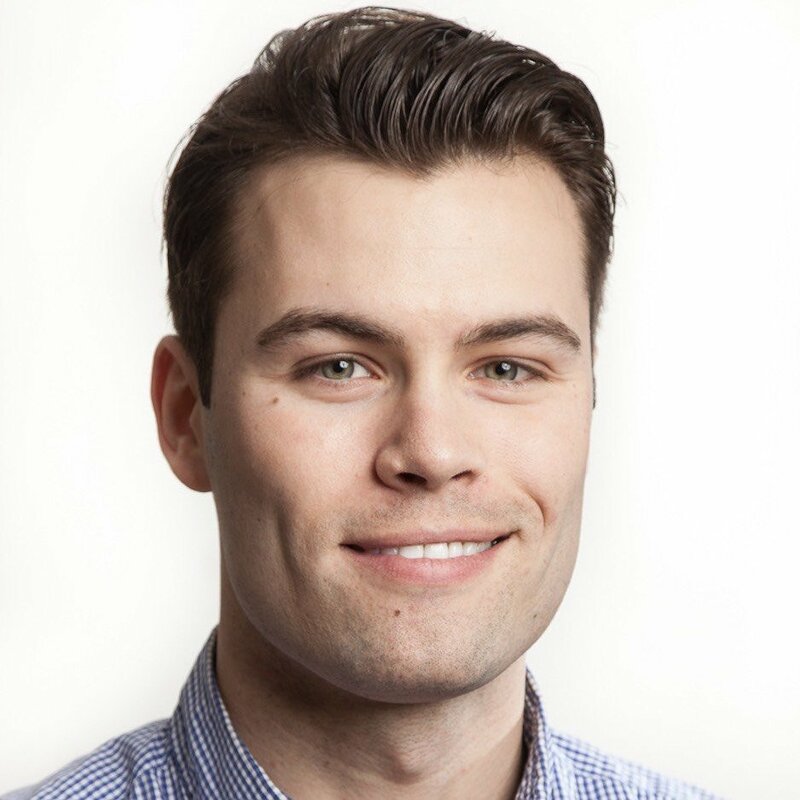 Joe is a research engineer specialising in energy. 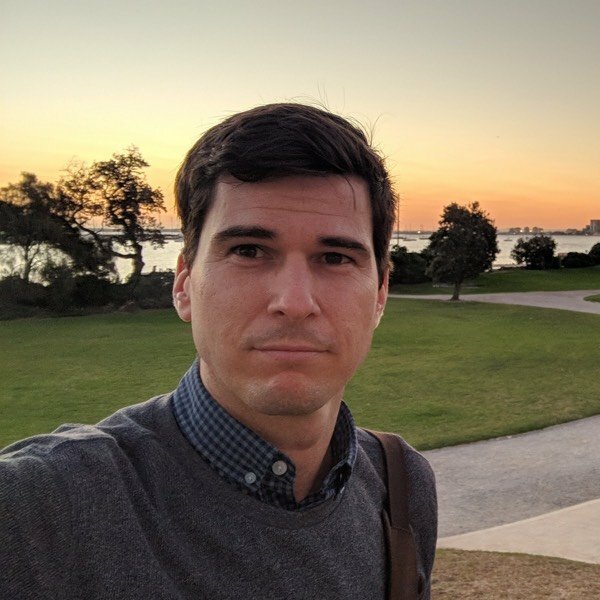 As the energy sector transforms, Joe has found himself knee deep in energy data and has adopted Python as his main tool to make sense of it all.